Either that or I blew up the coat rack... 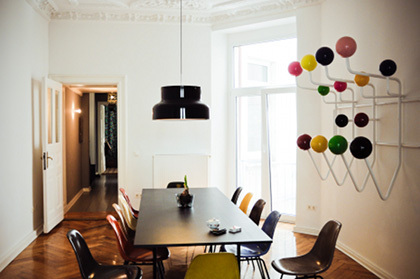 I saw this pic recently on Design Is Mine. 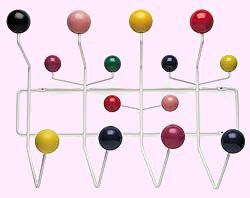 At first I thought the perspective was just messing with me but indeed it's a super-sized version of Eames Hang-It-All coatrack!